Steve Rogers NWS- Coming to Myrtle Beach in November! Steve Rogers NWS, AWS, TWSA – Art Myrtle Beach Workshop coming right up! “Painting Light and Color in Watercolor” November 13-18, 2016. 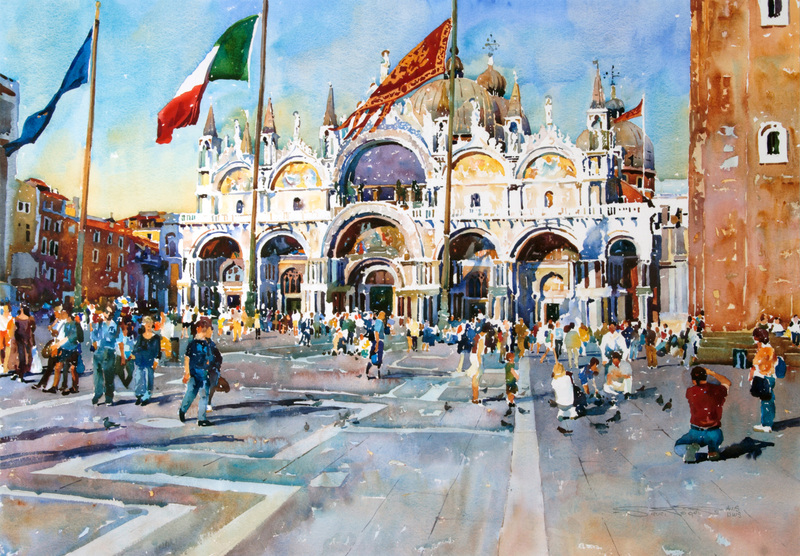 Now is your chance to have fun studying with this World Class Watercolorist! Feel free to bring friends and share an oceanfront week of learning and fun. Register today to save your seat- $100 deposit secures your spot and includes 5 full days of instruction with additional Sunday introduction, and 1 group dinner with our instructor during the week. Daily classes offer each participant their own large table in a spacious oceanfront facility with classroom available round the clock. Click for the complete details with lots of photos in the .pdf below! This workshop is filling fast, and I don’t want you to miss out, so contact me today! Hope you can join us… Rebecca ?